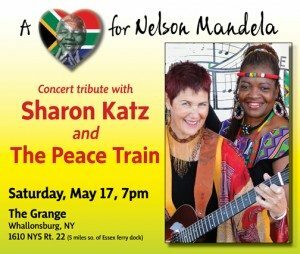 Sharon Katz and The Peace Train, a four-piece band from South Africa, will perform at The Grange in Whallonsburg on Saturday, May 17 with their Afro-pop sound in a special tribute to the late South African leader Nelson Mandela who died in December. Growing up under apartheid, Sharon Katz formed a multicultural, multilingual group in 1993. After Nelson Mandela’s release from prison and as the apartheid regime disintegrated, Katz set off by rail across the country with 150 performers, including the legendary group Ladysmith Black Mambazo. Called “The Peace Train,” they gave concerts at every stop, promoting an end to violence and a peaceful transition to democracy. In 1994, she was commissioned by the Independent Electoral Commission to write songs in many of South Africa’s languages to support the first free election in the new nation. » Continue Reading. The Lake George Community Garden Club’s Annual Perennial Plant Sale will be held in Shepard Park, Lake George Village, this Saturday, May 17th, from 9 am to 2 pm. 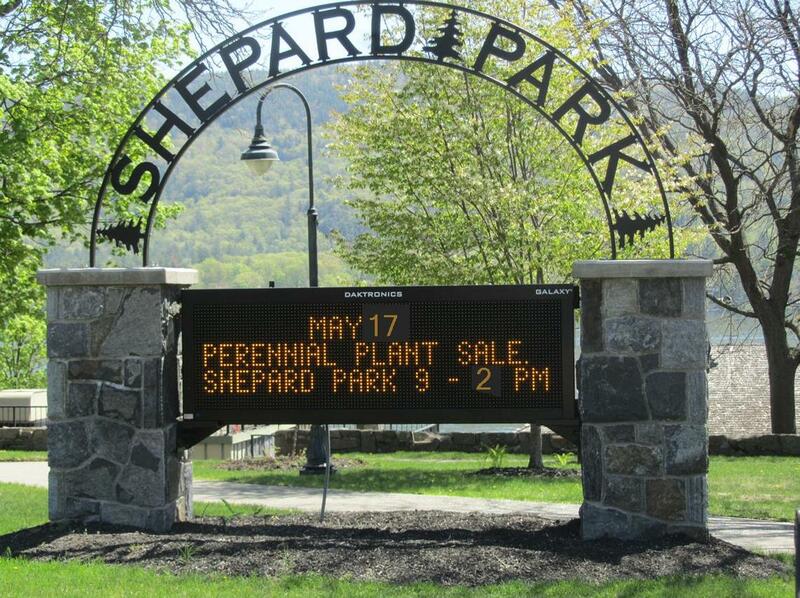 The Perennial Plant Sale is one of the largest plant sale in the area, and the Garden Club’s major fundraiser for the year. The sale offers hundreds of high-quality perennial plants grown and dug from their member’s zone 4 and 5 gardens. 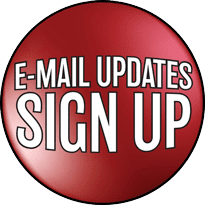 Garden club members will be available to share planting instructions, tips for successful gardening, and other information. Special features of the sale include a Tag Sale of good quality, gently-used items and a collection of hand-made garden art objects and tempting creations by talented Garden Club Members. » Continue Reading. North River artist Jan Palmer will fill the Widlund Gallery at the Tannery Pond Community Center in North Creek from May 24th to June 25th with a retrospective of some 50 years of paintings in watercolor and pastel. The early years are represented by Raggedy Ann and Andy illustrations, fairy tales and other stories. 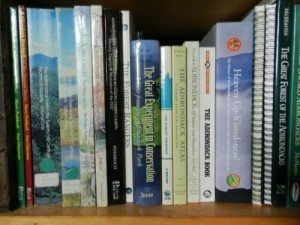 Jan has illustrated over 20 books. 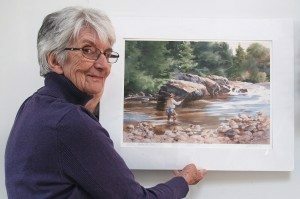 She has won many awards from national shows in both watercolor and pastel including the prestigious Silver Medal Rosenau Award from the Adirondack National Exhibition of American Watercolors in Old Forge, New York. Her love of portraiture shows in recent paintings of local children. » Continue Reading. 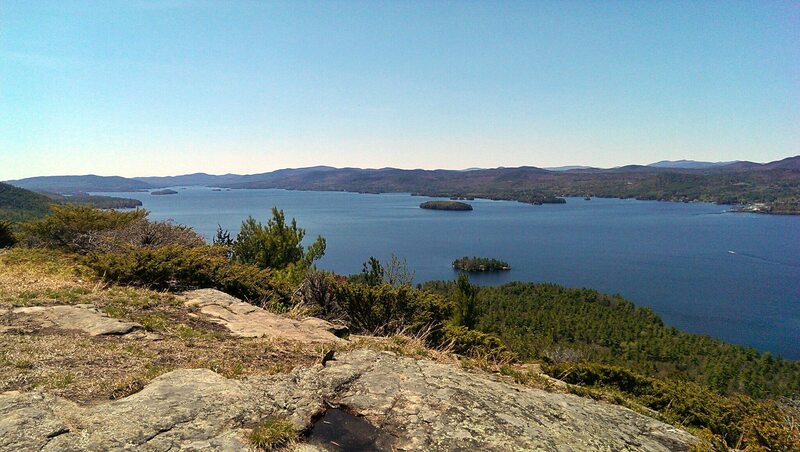 The Shelving Rock area of Lake George is one of my favorites for the variety of trails and swimming opportunities. Shelving Rock mountain is an easy climb to beautiful views of the Southern part of the Lake. Both the mountain and bay area are accessible via Shelving Rock road in Fort Ann. 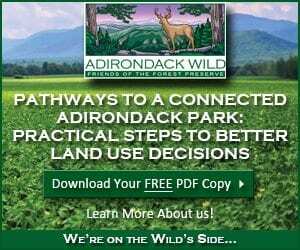 The Adirondack Center for Writing recently shared a link on their Facebook page to a Bookbaby blog entry titled, “From book to book launch: how to successfully self-publish your book.” There are 17 steps posted, each with links, most of which lead to something you need to do and describing how Bookbaby can provide each service. It’s an effective practice, offering free information of varying value and linking it to paid services. As general guidelines go, the Bookbaby list is OK, but it’s important for aspiring authors to know that while some of the items apply to most books, the formula in its entirety applies to only certain genres. If you’re not writing for certain audiences, some of it is bad advice. » Continue Reading. 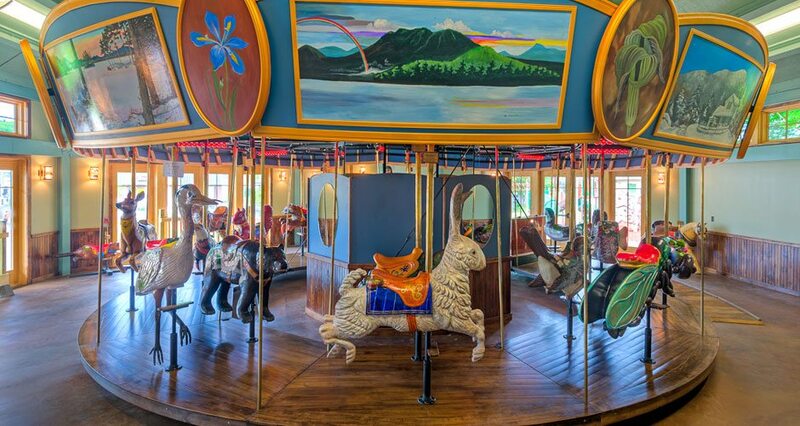 On Saturday, May 10, from 10am – 12pm, at the Adirondack Carousel, The Champlain Valley Association for the Education of Young Children will offer Family Fest, a free event for children and their families. 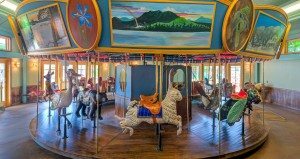 The day will include carousel rides, messy play art, popcorn and a free book for each child. All children must be accompanied by an adult. » Continue Reading. 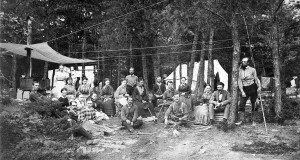 The Chapman Historical Museum’s new exhibit, At the Lake, which runs through August 31, presents different perspectives on what it has meant to be at Lake George over the past 150 years. 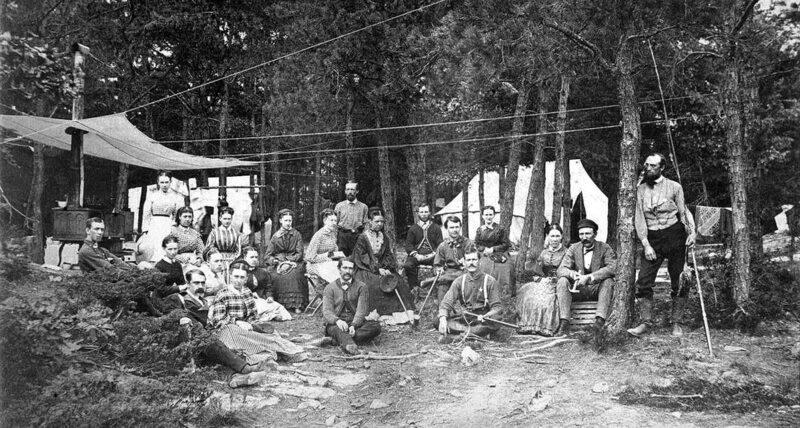 Included in the exhibit are the stories of groups that camped on the lake’s many islands, families that built grand homes on the lake, and others who constructed more modest camps. 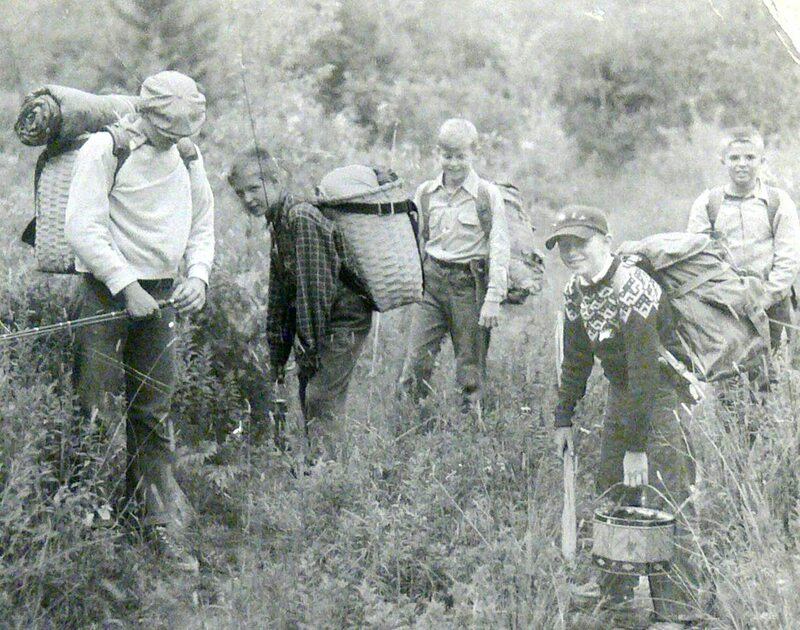 To diversify the story the exhibit also includes the experiences of people who lived on the lake and worked there each summer as waitresses, cooks, laundry workers, guides and boatmen. » Continue Reading. 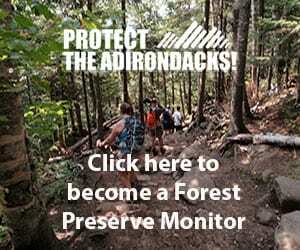 One of the first programs my family attended at the Adirondack Interpretive Center (AIC) was a Leopold Bench workshop. 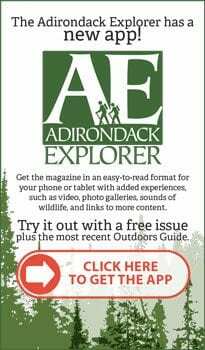 The day was devoted to learning about Aldo Leopold, listening to a reading from A Sand County Almanac and walking the AIC trails. It was a full day of activity that my children still speak about fondly. 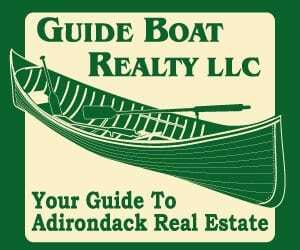 Though the agenda for the 3rd annual Loons and Logs Day on May 24th doesn’t include making a Leopold Bench, there is a full schedule of events that includes an Adirondack chair workshop. » Continue Reading. 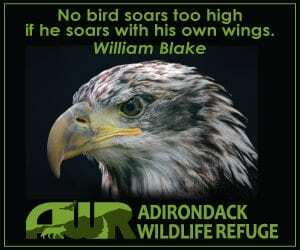 The Lake Placid Hall of Fame Committee is seeking nominations from residents of the Olympic region for 2014. The Hall of Fame began in 1983 and has inducted over 100 individuals, as well as the members of the 1948 U.S. Olympic four-man bobsled team and the 1980 U.S. Olympic hockey team. Plaques, commemorating each member, are on display in the Olympic Center’s Hall of Fame, located in the Conference Center at Lake Placid. To be nominated, individuals should be past or current residents of the Olympic region or have some significant connection to the area. 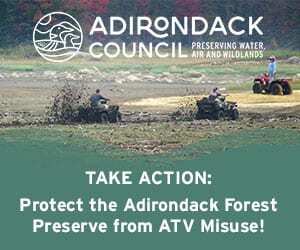 All nominees must have made significant sports, cultural or civic contributions to the region, or their endeavors must have enhanced the historical heritage of the Olympic region – defined as Essex, Clinton and Franklin counties in New York State. » Continue Reading. 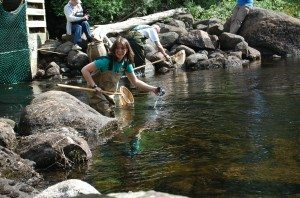 Spring time brings higher water levels in the streams, brooks, and rivers in the area. 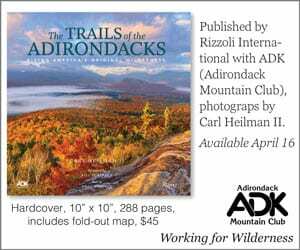 This makes for a great opportunity to capture waterfalls and babbling brooks. The trick to these shots is a long shutter speed, which blurs the flowing water, giving it that silky smooth look. The effect will start to appear at around a 5 second exposure; the photo above is a 30 second exposure. To get exposures this long you will want to reduce your ISO (100), use a larger aperture (f11), and shoot in low-light. Typically it is best to shoot these photos in early morning or late evening. 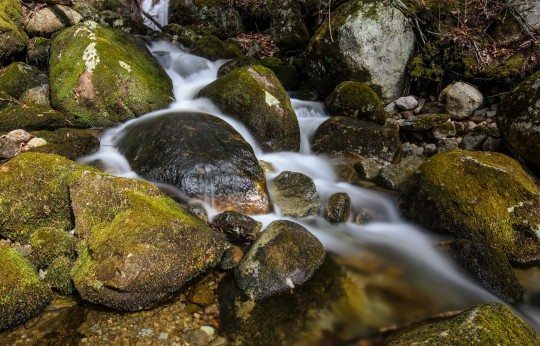 Adding a neutral density (ND) filter will allow you to shoot in brighter conditions. This photo was shot with a 10 stop ND filter at around 10am. Finally, long exposures such as this will require a tripod or resting the camera on a solid surface. 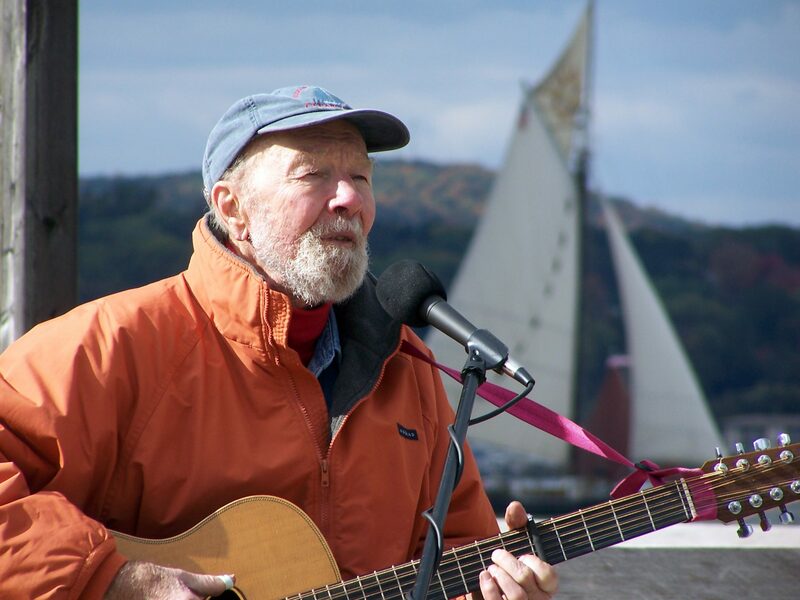 The 3rd Annual Earth Care Coffeehouse in Saranac Lake will feature the music of Pete Seeger (who died this year at age 94) and will raise funds for the Hudson Sloop Clearwater and the environmental education programs Seeger helped to found over 45 years ago. This Saturday, May 3rd at 7:00 pm, in the Saranac Lake Presbyterian Church Great Hall, local musicians will celebrate Pete Seeger’s life and vision in a free event. 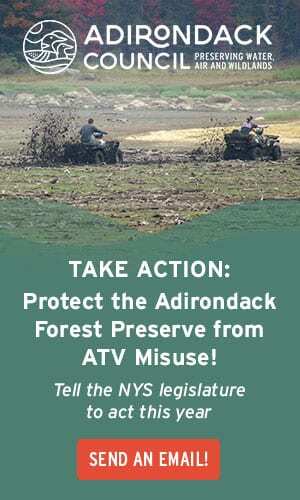 Each performer will lead songs that Pete Seeger sang and play original music based in the folk tradition. 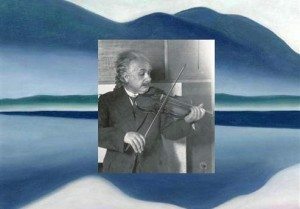 Musicians include: Alex Smith, Mason Smith, Curt Stager, Celia Evans, George Bailey, Duane Gould, Keith Gorgas, Nancy Bernstein, Lisa Meissner, Alex Markland and friends, and teenage fiddler Dana Holmland. Storyteller Karen Glass will share a Seeger favorite – Abi Yo Yo. » Continue Reading. 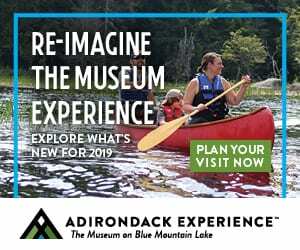 Lake Placid Center for the Arts, celebrating over 40 years of Arts in the Adirondacks, is presenting a mix of events for both adults and children this summer. 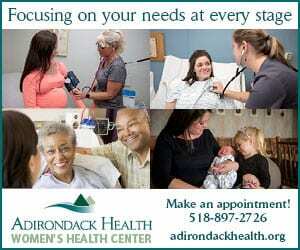 For information on these, or any other LPCA program, visit our website at www.lakeplacidarts.org or call the box office at 518.523.2512. » Continue Reading. Left the farm at 11:15 am; reached Kibby Pond at 12:30. There were some reroutes since the last time I was here, but I can’t blame my hiking time on those. I blame winter and junk food. Ice is not out. And it’s a good thing because I am not prepared to fish. I didn’t expect the ice to be out. I came here for reconnaissance. Of course I got myself worked up on the hike in. What if the ice is out? I’m not ready. Then, as I crested the hill and saw the outline of the pond below, my heart stopped. It is out. I stood there in disbelief for half a second. Through the trees, ice looks the same as the reflection of an overcast sky on open water. But the sky isn’t overcast enough. Ice. I started down the hill and could make out a darker outline along the shoreline. That’s what open water looks like today. My heart slowed with my relief and my decent. I came here on a whim. 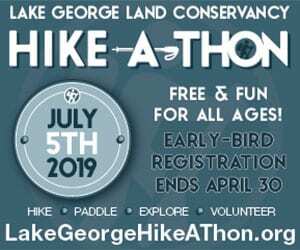 I was hemmin’ and hawin’ this morning over whether and where to hike. I’m farm-sitting for my cousin in Sodom. Do I leave the animals for a little while? There’s a lot going on at work right now, too. I should stay and get some stuff done. 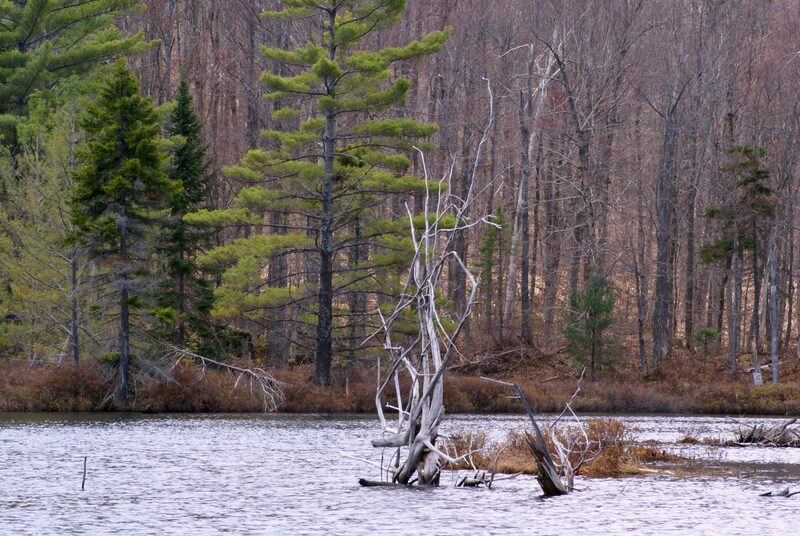 But I heard and saw my first loons of the season this morning, a pair of them, and that made my decision easy. » Continue Reading. Adirondack summers for the Zahniser clan on Edwards Hill Road in Johnsburg were wonderfully and inextricably bound up with the Schaefer clan. Even these 40 years hence, memories of those years play, as Cub Schaefer told me in July 2000, like videotapes. Many of those scenes come from summer in Bakers Mills in the 1950s with The Rainmakers, our young band of avid trout anglers that included Cub, Matt and Ed Zahniser, Johnny Hitchcock, Tommy Senate, and Tommy Taylor. We named ourselves The Rainmakers part way through the summer, realizing that every time we all went fishing, it rained. 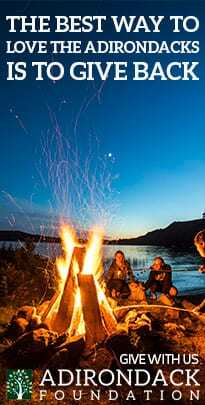 The story opens with the whole troupe of us strung out along the diminutive stream through Johnny Robbins old place across Route 8 from Johnny Steve’s farm just beyond the road into the Oehser’s camp east of Bakers Mills. 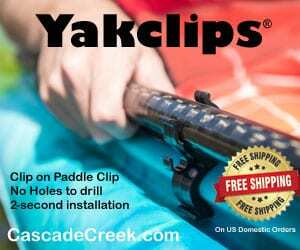 We are all looking for likely holes, meaning a pool deep enough to keep a trout’s dorsal fin from drying out. Willows overarch parts of the stream. All is idyllic until Matt Zahniser, the senior Rainmaker, comes crashing down the middle of the stream below some willows shouting “Bull! Run!” He wasn’t talking Civil War reenactment. » Continue Reading. Paul Smith’s College and TAUNY (Traditional Arts in Upstate New York) will hold a daylong festival of music, art and TED-style talks Saturday, April 26, at the Paul Smith’s College VIC. The event, called SAM Fest – for science, art and music – will feature musical performances by North Country musicians; presentations on Adirondack climate by faculty and students; exhibits of traditional folk and visual arts; maple syrup and refreshments; and a showing of “Green Fire,” an award-winning documentary on Aldo Leopold. » Continue Reading.